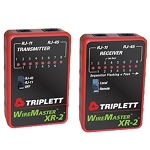 Map out a variety of cables and outlets with the Triplett WireMaster Mapper, an 8-way cable mapping kit. Built-in with a continuity beeper and 120VAC line cross protection, you can easily identify wiring problems in various telecommunication systems. Run a real-time test for opens and shorts, or when not enough or too much electrical current is flowing, and receive test results in bright red and green LEDS on the Triplett Mapper main unit. 8 individual remotes and their respective connector types are included for different applications. Use the BNC remote to identify coaxial cables in CCTV security and surveillance systems, or the F for Cable TV distribution. The RJ11/RJ45 tools help find telephone and LAN cables, where as the Clip leads analyze wires and connectors. Also included in the WireMaster Mapper is a carrying case, designed with a separate pocket for each type of remote. For additional information about this product, please click the "Specifications" tab. 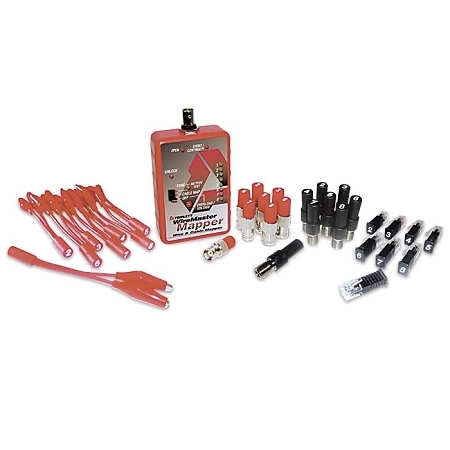 For a list of components included with this product, please click the "More Information" tab.